There are many franchising opportunities in today’s economy and market, which is why it is important for a prospective buyer to have extensive information and deep knowledge as to identify the most suitable opportunity for their goals, in order to ensure the highest chances of success. For example, if you are interested in buying a franchise in industry or field, you should know that the Federal Trade Commission imposes on all franchisors to disclose a document to candidates, consisting of comprehensive information about the offering, so that franchisees can make an educated decision. 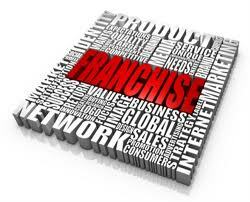 You should pay much attention to all 23 items of the Franchise Disclosure Document, especially items 19 and 20, which state the earnings per unit and the contact details of present and former franchisees. Whether you decide to resort to expert advice in your financial endeavor or not, here are 5 things you necessarily have to take into account before committing to any franchise. If you are seriously considering of entering the entrepreneurs market and investing in your own business, but you don’t want to start from scratch, as it is to risky, then you generally have two main options: buying a franchise or seizing a business opportunity. A lot of people have serious concerns when it comes to choosing between the two, as they both come with certain advantages and some drawbacks, not to mention the fact that few actually know what the exact differences between the two alternatives are. Well, one of the most significant difference is represented by the fact that a franchise comes with a trademarked name. This may seem as an insignificant detail to you, but it bears, in fact, a lot of weight in the process. The name of a business can have a dramatic impact on its success, which is why this difference is important. If you think that your creative skills can do a hell of a job in choosing the right name for a business and that you can set yourself apart from everyone else within the industry, then a trademarked name is not a pleasant perspective for you. On the other hand, in today’s business environment, when almost all words in the vocabulary are trademarked and when getting a certain brand to be recognized and appreciated by the large public requires a lot of effort, benefiting from the name of a franchise can give you a head start.